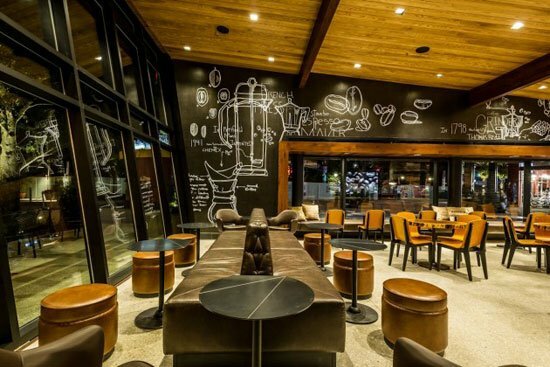 Starbucks Flagship Store Interior: Secret Design Recipe of Starbucks Flagship Store at Disney Orlando. Begins with a blank piece of white paper. Daniels, who has spent the past few days getting the store ready to open. Said his favorite part of designing a Starbucks is when partners arrive to stock the store. 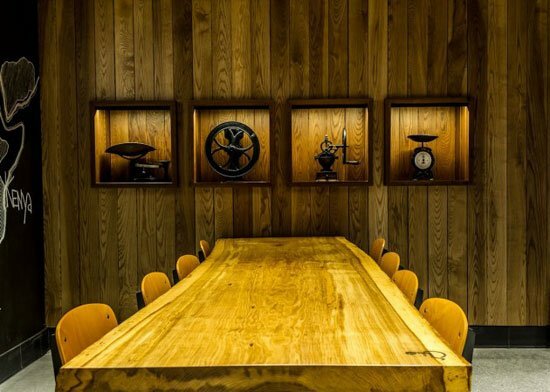 When Starbucks senior designer David Daniels is challenged with creating a new store. He starts sketching chairs or a table setting and thinks about all the meaningful moments. That will happen in the space. My imagination runs wild. As I draw I think about how somebody might meet the girl of their dreams there. All sorts of things could happen there, if only the walls could speak, said Daniels. As he looked at the original drawings for Starbucks new store in Downtown Disney. West Side at Walt Disney World Resort near Orlando, Florida. The nearly 4,000 square foot store is a new page in the collaboration between two iconic brands. 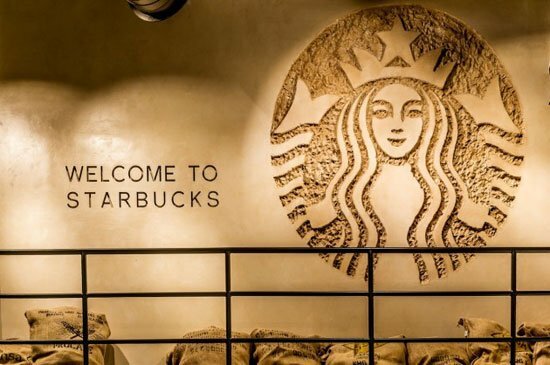 In March of this year, Starbucks and Disney teamed up to open the first company. 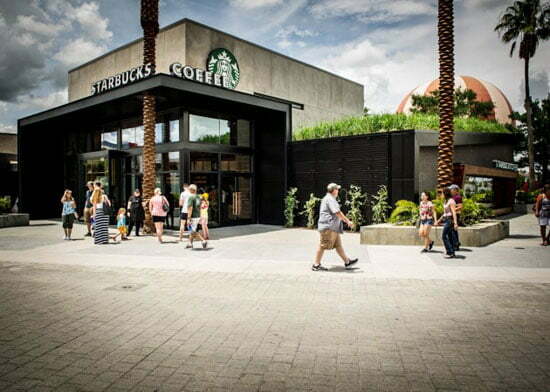 Operated Starbucks location at Downtown Disney in Anaheim, California. Daniels, the lead designer of the Orlando store, says both locations are the result of the “magic”. 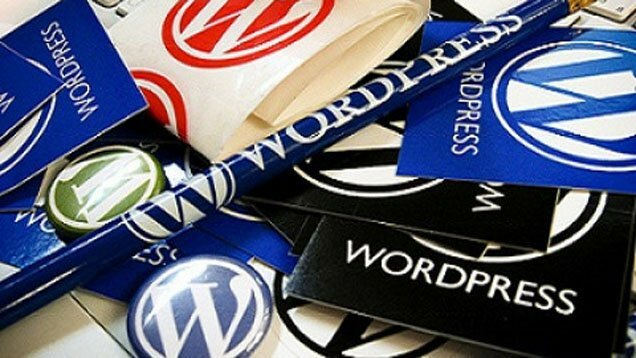 That can happen when two storytelling companies work together to design distinctive, memorable experiences for customers. The two Disney Orlando and Anaheim Starbucks locations share another special bond. For the first time, Starbucks is connecting customers through in-store interactive touchscreens. 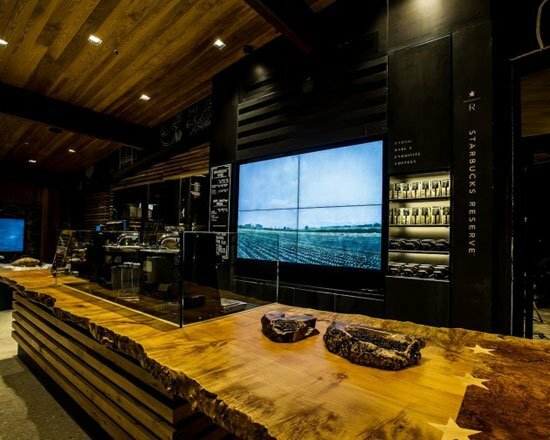 The 70-inch digital display panels – one in each Starbucks store. Use built-in cameras to create chalk sketches of guests and their surroundings. Customers in the Disney World Starbucks will be able to interact with those in the Disneyland location. 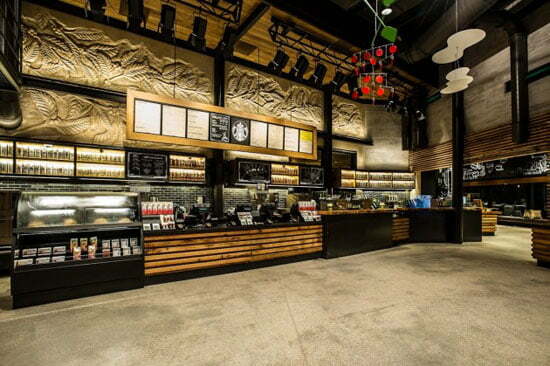 Starbucks at Downtown Disney in Orlando has several other features that make the store “extraordinary,” he said. While the space includes stunning artwork of metallic Venetian plaster. That depicts the Starbucks coffee origin story. Daniels is most pleased with the store’s environmental features. 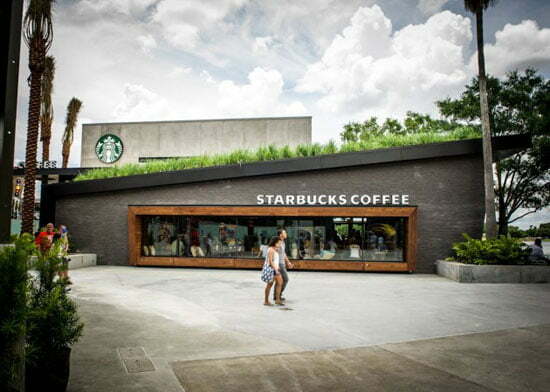 The new site is Starbucks 500th LEED (Leadership in Energy and Environmental Design) store. The standard, developed by the U.S. Green Building Council. That is a rating system for the design, construction, operation, and maintenance of green buildings. 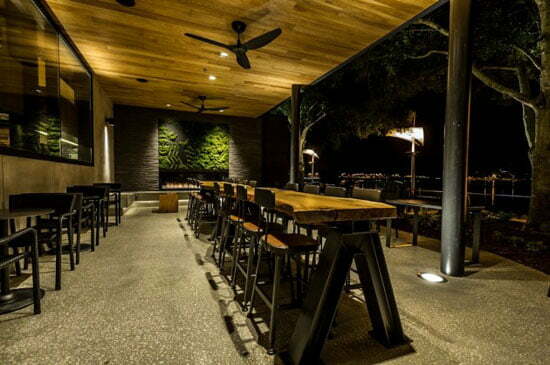 LEED certification is just one component of energy and environmental design for the Starbucks. 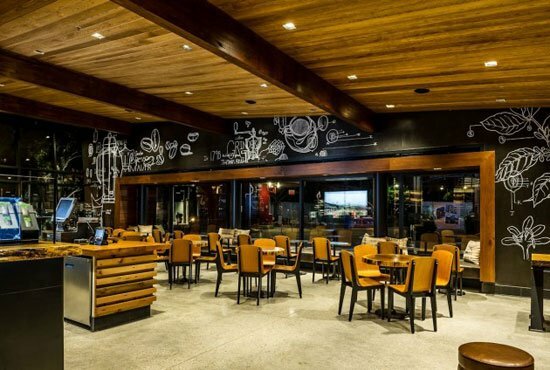 With 18 in-house design studios, Starbucks integrates local relevancy. And sustainability into store design and operations around the globe. Among the elements of sustainable design at the new store at Walt Disney World Resort. 100 percent energy-efficient LED lighting. Reclaimed oak, maple and other materials used throughout the store. Community tables made from salvaged trees. A green roof consisting of hundreds of lemon grass plants. We had all the grass grown in a nursery. And we fed it with compost from our coffee grounds from a nearby Starbucks store. This gesture is one of the many ways we’re able to tell our story, said Daniels. Soft clumps of moss might tell the grandest tale of all on a living wall. At the Walt Disney World Resort Starbucks. Industrial designer and artist Paloma Teppa, based in Miami. Created a replica of the Starbucks Siren logo out of moss. The moss art installation is a touch of Disney-like whimsy. 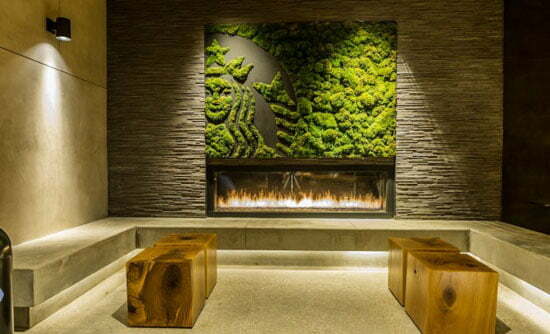 That brings a piece of the tranquility from a forest to a Starbucks store. Inviting customers to enjoy the serenity of the natural world for a moment. 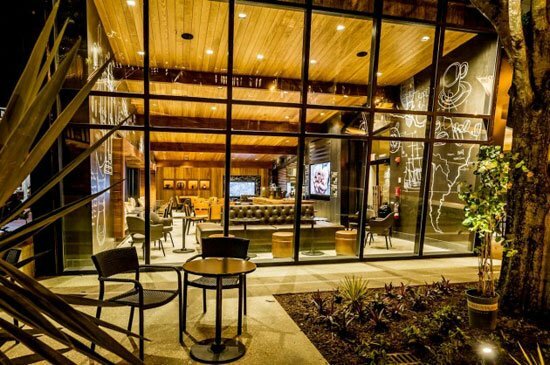 The location is also the first Starbucks Reserve® Store at the resort. Offering rare and exquisite small-batch coffees from around the world. The store is equipped with the Clover Brewing System and four Mistrena espresso machines. Elegant bar seating encourages interaction between Starbucks baristas and customers. The store also has a more expansive food case. Than most cafes, and 30 Starbucks partners (employees) per shift serving customers. So, Friends, This is what – I have to came across about Secret Design Recipe. That is use in the Starbucks Flagship Store at Disney Orlando. 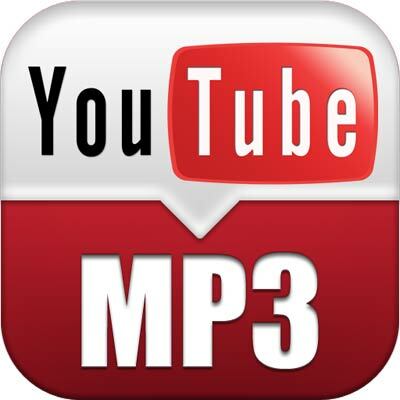 I hope, you people Enjoy it. Jeddah Metro Project Design by Foster and Partners by 2020. What Architects says about Natural Lights in Clean Aesthetics.